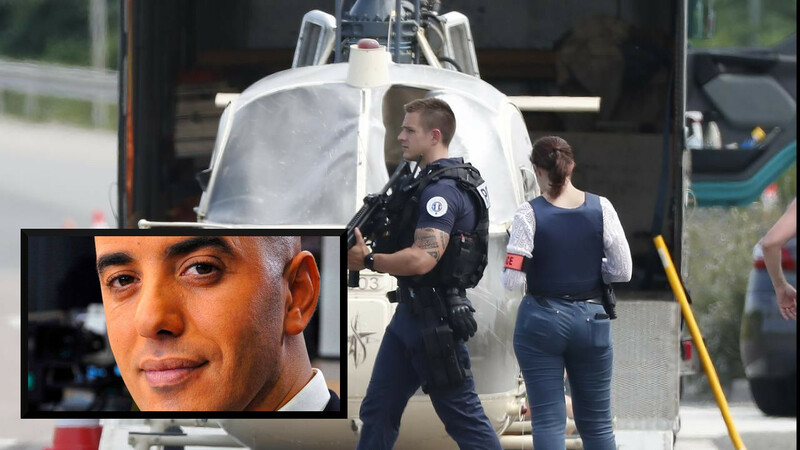 In an audacious escape, several heavily armed men landed a helicopter in a courtyard of a prison, freed a notorious French criminal serving 25 years for murder, and then simply whisked him off as if it were just a scene from an action movie. It took only a few minutes for Redoine Faid to pull off his escape from Reau Prison. Unarmed guards were left practically immobile- if not useless- in preventing the escape act of Faid. The 46-year-old Faid was serving time for the murder of a young police officer in 2010 over a botched robbery. A representative of the guards’ union, Martial Delabroye told local media that the two men who came to help Faid escape were dressed in all black, wore balaclavas and police armbands. They got off the chopper and entered the prison looking for Faid. They used a grinding machine to force their entry to the visiting room. It was a well-planned escape as the men even set off smoke canisters to hide from surveillance cameras. The helicopter touched down in the lone part of the complex that’s not covered by anti-helicopter netting. The landing of the chopper seemed to have been precisely timed as well. Faid was then meeting with his brother in the visiting room. Union members also said that a third man was holding the pilot at gunpoint. It turned out that the three men took the pilot hostage at a flying club in the Paris region. The pilot was later released unharmed. The helicopter, however, was later found burned in the town of Garges-les-Gonesse, located in the northern suburbs of Paris. Faid is believed to have taken off by car along with his accomplices. It was also not the first time that the inmate pulled off such a daring escape. He once forced his way out of a different prison with explosives hidden in tissue packs. Faid was a notorious criminal in the 1990s as he led a gang in robbing banks and armored vans. Faid was arrested in 1998 after three years on the run in Switzerland and Israel. unarmed prison guards. LMAO! the French are so lame…. and now France is being overrun with savages from The Mid-East and Africa and they want MORE. what can possibly go wrong? "Unarmed guards" and "Prison" shouldn't be in the same sentence, but France manages to do it. that's what france gets for stupidly playing that politically correct card!